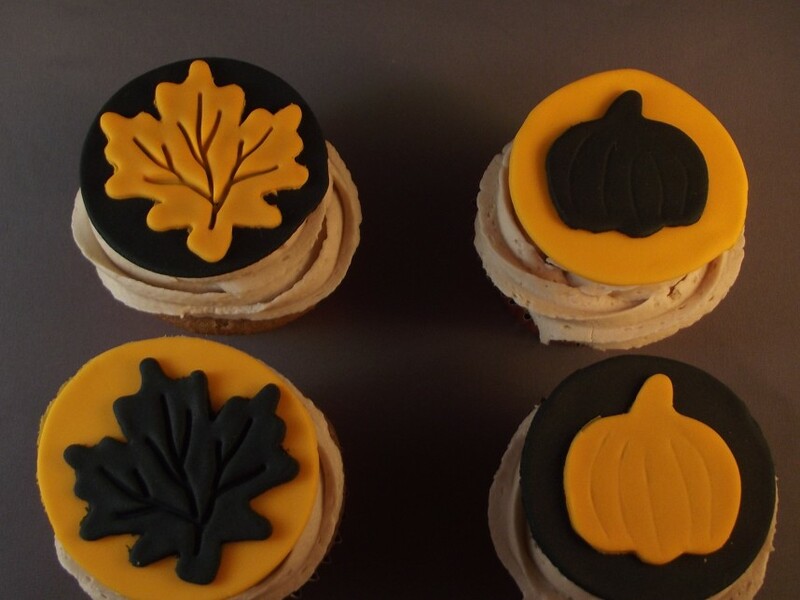 Halloween apple spice cupcakes with maple buttercream and leaf and pumpkin toppers! Yes, blogger Farrah's Kitchen has gone all out and shows you how to make these apple filled spice cupcakes with maple buttercream, including recipes, and how to make these adorable Halloween-themed cupcake toppers! I’m not a spice cake fan, but I really enjoyed the spice cake with the maple buttercream frosting. This time I added a filling to the cupcake. Apple pie! I loved the texture and taste that the apple pie brings to this cupcake.